ACCESS CONTROL SYSTEMS TRAINING COURSE Video door phone and video door locks are most powerful device for security reason. For every o ce attendance are necessary for employee, so for attendance we provide solution for biometric attendance machine. 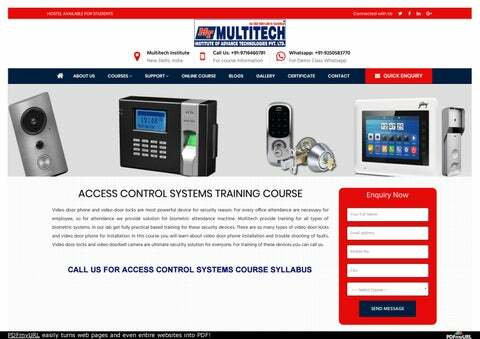 Multitech provide training for all types of biometric systems. In our lab get fully practical based training for these security devices. There are so many types of video door locks and video door phone for installation. In this course you will learn about video door phone installation and trouble shooting of faults. Video door locks and video doorbell camera are ultimate security solution for everyone. For training of these devices you can call us. education courses. 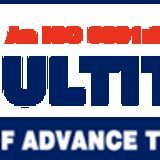 Multitech Institute established in the year of 2012 at New Delhi, India. Now Multitech provide training for chip level and hardware repairing courses for laptops, desktop, Mobile Phone, printers, CCTV, Led TV etc. Copyrights ÂŠ Multitech Institute Of Advance Technology All Rights Reserved.